Amy Strunk has decades of design experience. Below are a few of the areas of expertise she loves sharing with clients. 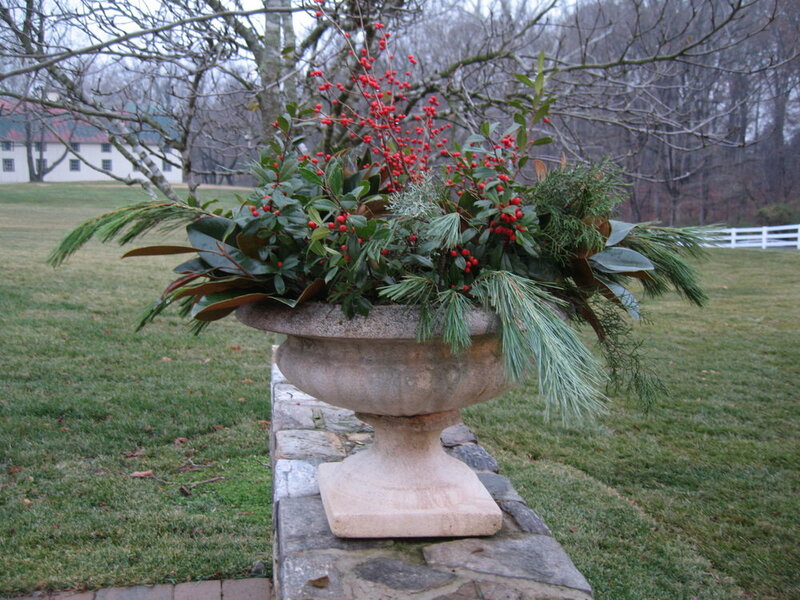 Select blooms and evergreens from your garden to enhance your home for the holidays. You will learn how to prune, prep, and assemble a beautiful arrangement. Put the finishing touches on a special season! Other lifestyle topics include Creating Fresh Flower Bouquets, Christmas Floral Design, Decorating Your Home for the Holidays, Arranging a Mother’s Day Bouquet, and more. Every season brings new opportunities for plant palettes in every height, texture, and color. Create containers that are perfect for your space. Other container gardening topics include Container Gardening 101, Containers and Curb Appeal, Container Herb Gardens, and more. Who doesn’t love snipping a few fresh herbs from their back deck or patio for dinner? Learn to use nature’s bounty in your own backyard and integrate easy to grow edibles into your landscape. Other sustainability topics include Seed-Starting for Children, Tips for Going Green, Harvesting Black Gold in Your Garden, Xeriscaping, Native Plants, and more. The old saying “fences make good neighbors” may be true for some, but we think plants make the best neighbors! Many yards have an unsightly fence, garage or house that would be best hidden from view. Learn to select plants that will beautify your yard’s problem areas. Other landscaping topics include Garden Paths & Walkways, Using Stone in the Landscape, and more. Like Shakespeare once said, “A rose by any other name would smell as sweet.” When strategically sited, fragrance can greatly enhance the enjoyment of a garden. Amy and her family have spent many starry nights with friends enjoying the fragrant jasmine that covers their arbor. Other gardening topics include Fall in Love with Garden Grasses, Healthy Hydrangeas, Digging at Dusk, Hot New Perennials, Shade Gardening, Sun Gardening, and more. Most people are excited to garden in spring and summer because everything is in bloom. Yet, there are a myriad of plants that bloom in fall and winter. And it’s important to invite pollinators to our gardens when many need food the most! Other seasonal topics include Adding Fall Color to Your Garden, Top Ten Spring Blooms, Color and Interest in the Winter Garden, Spring Flowering Trees, and more. Want Amy to share some gardening wisdom with your garden club, community center, or local elementary school? Get in touch! Want to create more beauty in your life? Get in touch. We can’t wait to hear from you.